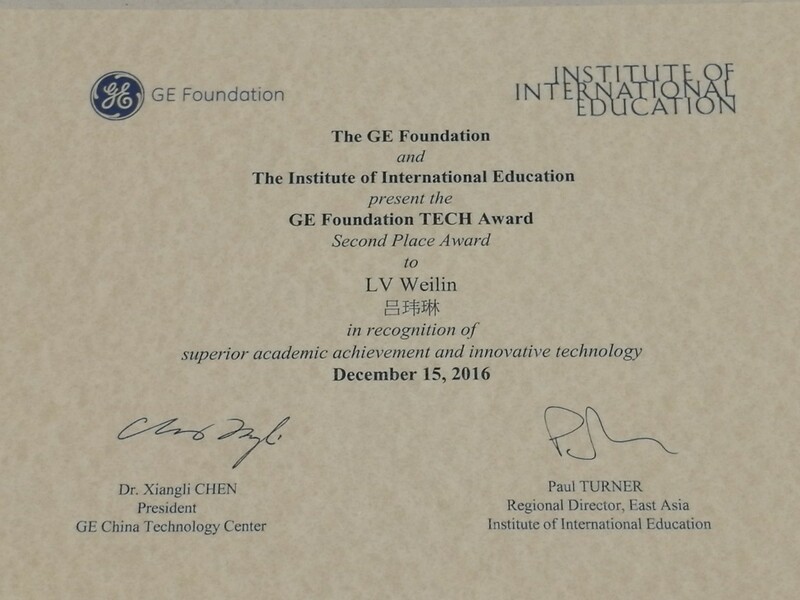 The award ceremony of GE Foundation TECH Award co-organized by General Electric Company (GE) and Institute of International Education (IIE), was held on Dec 15th, 2016 in Shanghai. Students from 20 universities in China participated and a total of 19 students won the award. The award-winning works were not only innovative but also had great potential in practical applications. Mr. LV Weilin, a Ph.D. student of MSL, won the second place award for his work on “Origami Tent”.